If you are thinking of buying a home and want to apply for an FHA mortgage to do so, it’s a very good idea to review your credit report to make sure there is no information about late or missed mortgage payments, rent payments, and even credit card or utility bill payments. August 25, 2018 - If you are thinking of buying a home and want to apply for an FHA mortgage to do so, it’s a very good idea to review your credit report to make sure there is no information about late or missed mortgage payments, rent payments, and even credit card or utility bill payments. 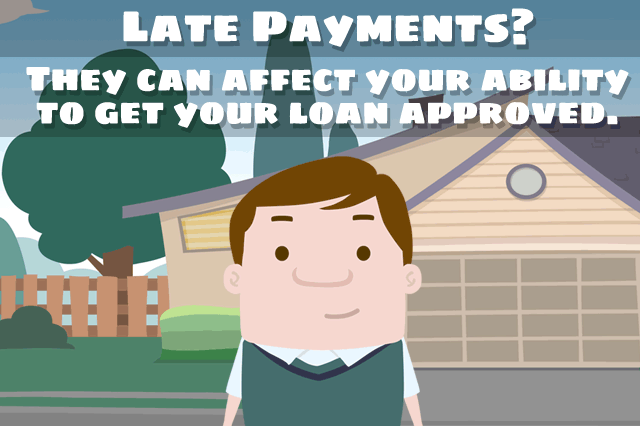 Late and missed payments can affect your ability to get home loan approval; the late payments also affect your credit score. What can a potential borrower do to hedge against the damage a late or missed payment can do? If there is factual OR erroneous information about late or missed payments on your credit report, you will need plenty of time to deal with those circumstances. Disputing a late payment or contesting a missed payment on your credit report will involve filing complaints, getting the matter looked into by third parties, and is generally time consuming, which is why you want to start reviewing credit data the moment you know you want to commit to buying a home at some point. It is best to apply for an FHA loan with no fewer than 12 consecutive months of on-time payments for all financial obligations. If your credit report shows errors or factual data that is NOT in error that reflects a late or missed payment in this 12 month window, it may be best to hold off on your credit application until you do have a 12 month record of on time payments for all financial obligations. Factual, accurate information on your credit report will remain there. Some third-party credit repair agencies may imply or directly promise they can remove all negative information from your credit report. This is generally not true. Accurate data will remain. That said, some may contest seemingly accurate negative credit reporting information that was the result of circumstances such as a payment made in good faith that did not reach the creditor for some reason. Other issues may involve hidden charges the borrower was not aware of, erroneous billing that resulted in a late payment, etc. Consumers are allowed by law to contest these issues. Sometimes a borrower may contest a credit report entry and find that the creditor does not respond within the required time frame and that the negative information will be dropped. But this occurs on a case-by-case basis and there are no guarantees. The bottom line is that this process, too, takes time and should be started as early in the home loan planning stages as possible. Late and missed payments in the last 12 months leading to your application can be a big detriment; knowing this ahead of time can help you time your mortgage loan properly for best results.